For decades, Mother’s Day has been celebrated with a lot of fanfare and love all over the world. Let’s be clear about this – mothers deserve all the recognition coming their way! While people keenly observe Mother’s Day, Father’s Day celebrations have taken a back seat for more than 100 years! 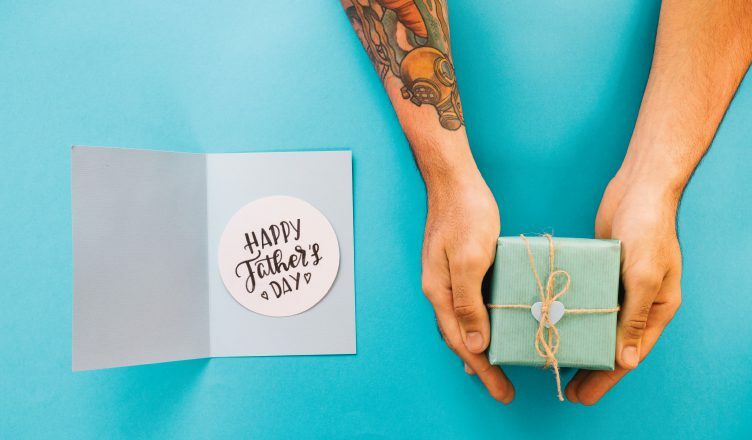 It’s time to add Father’s Day as an event to look forward to by marketers. This year, it falls on June 17 (and is observed every year on the 3rd Sunday of June). Let’s take a look at the humble origins associated with Father’s Day. So, when was Father’s Day first observed? Let’s go back more than hundred years in history! Sonora Smart Dodd of Spokane, Washington was attentively listening to a Mother’s Day sermon in church. She immediately decided to celebrate Father’s Day in honor of her father William Smart who single-handedly raised her and 5 other children. Sonora’s mother died while giving birth to her but William ensured that he raised the children to become responsible, loving, and caring American citizens. Sonora wanted Father’s Day to be celebrated on June 5 (the day her father was born) in the city of Spokane. The Mayor extended the date by two weeks. The first Father’s Day was observed on June 19, 1910 in Spokane. It took many years for a presidential proclamation honoring Father’s Day – this eventually happened in 1966 through President Lyndon Johnson. Later, President Richard Nixon signed a public law that made Father’s Day a permanent holiday. For businesses, it makes sense to associate with Father’s Day. Give male employees and customers one more reason to feel special and appreciated with our range of Father’s Day gift ideas! This messenger bag is made of soft litchi fabric that appears like leather. The flap styling featuring hook and loop tape closure is a winning combination. There are front and back slip pockets to store handy belongings. A padded compartment secures a laptop with ease. This product is available in attractive colors. The 52” shoulder strap will ensure this bag is great to carry around! This tumbler features rubber accents that provide an excellent grip! The stainless steel outer has a colorful plastic liner. There is also a color accent slider on the black lid. Made of Stainless Steel and Polypropylene, this tumbler can win hearts in no time! This product features efficient stainless steel grill tools in a durable 600D case. The zippered closure is made of high quality and will secure the tools with ease. Each set comes with tongs, a fork and spatula. Your imprint will come on the front pocket. This emergency tool features a flasher and a flashlight. It also has a stainless steel blade, a bottle opener, a flathead screwdriver, a Hex wrench, a fish scaler, a saw, scissors and a nail file. There are 5 LED lights to power the flashlight. A red flashing warning signal can be turned on with the front sliding button. 3 AAA batteries are included. This sporty polo features moisture wicking properties. It is made of snag-resistant fabric and PosiCharge™ technology. Count on this polo for the ultimate comfort, providing wearers with an extra reason to cheer for your brand! We wish your team a successful campaign for Father’s Day! Contact us if you need more marketing ideas and we will gladly help you. Our giveaways will serve as formidable marketing tools for your brand!